Recently we were asked to recreate El Paso, Texas Marshal John Selman’s holsters and gun belt for a friend and customer to be used in an upcoming movie about HARDIN. On August 19, 1895, the west’s most infamous gunfighter- John Wesley Hardin went to the Acme Saloon in El Paso, Texas. He began playing dice when Marshal Selman, a gunfighter in his own right, shot Hardin in the back, killing him immediately. 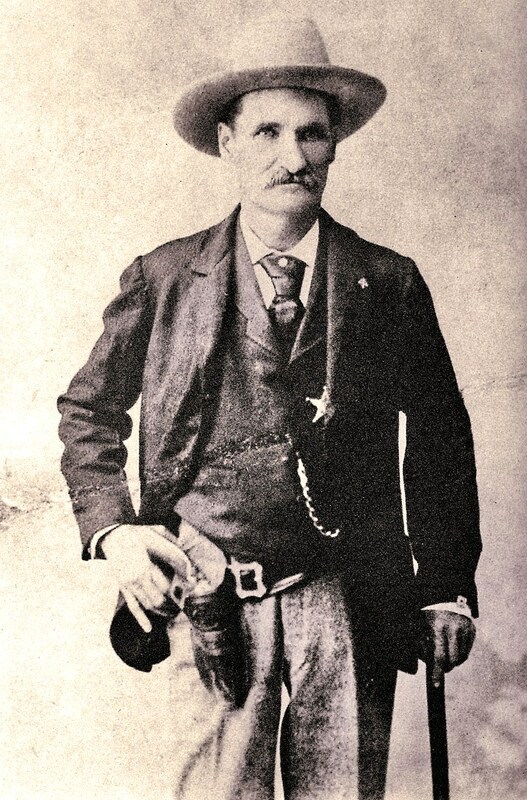 Selman was arrested, but before he could be tried for the murder, the back shooter was killed in a gun battle with another lawman, US Marshal George Scarborough. To begin the research process on this set, we had to obtain every photograph we could find depicting the Lawman wearing his gun rig. We also examined numerous photographs and drawings of gun men of this period. At this point several details could be found. 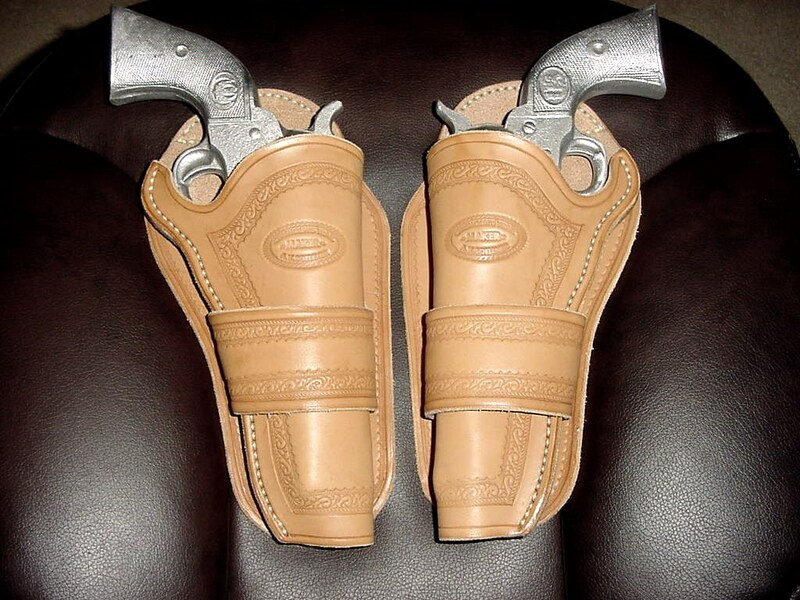 The holster appears to be slightly toe forward, for a 5 1/2″ Colt Single Action Army. It has a typical re-curve throat and a blunt end, with a single wide drop loop. 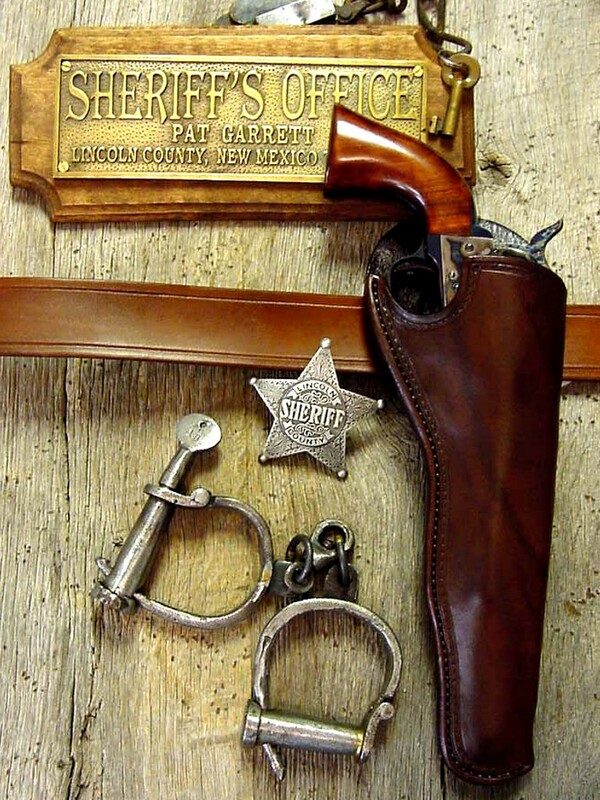 There appears to be a large oval “Maker’s Mark” on the front of the holster over the cylinder area and several lines of tooling trace the edges of the pouch and back leather. The skirt is a typical olive shape of the period with one line of edge tooling. Comparisons were made to existing gun leather from this period and location for tooling and construction notes. The most unique feature of this holster is the high round back. 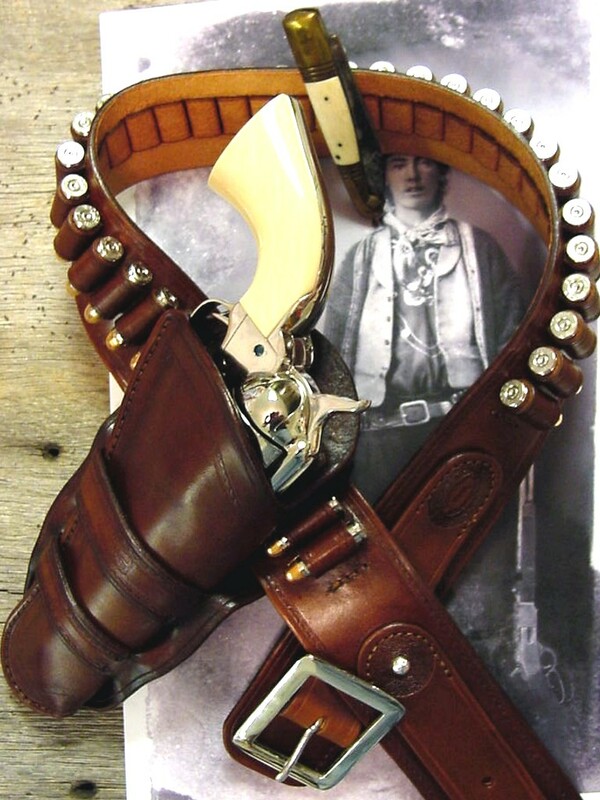 We have found this very visible arch on many gunfighter holsters including outlaw Billy the Kid and Sheriff Pat Garrett. Our continuing research as revealed from museum curators and modern day gunfighters that this arch was so you could elbow your coat behind this feature and have it out of the way when you were ready to draw your gun. As these details were gathered it was time to get out the compass, protractor, triangles, and other tools on a drafting board and begin to build the holster out of a manila file folder pattern. Normally it seems to take three leather prototypes. The first is often too small, the second too large, and the third just perfect. Once a good fitting prototype is completed out of American russet tooling leather it is wet formed to a mold or an original Colt Peacemaker to insure a good fit. A correct fit will allow you to turn the holster with the gun (unloaded) upside down over your bed and not fall out. However, once it is strapped on and you grab the handle it will almost jump into your hand. 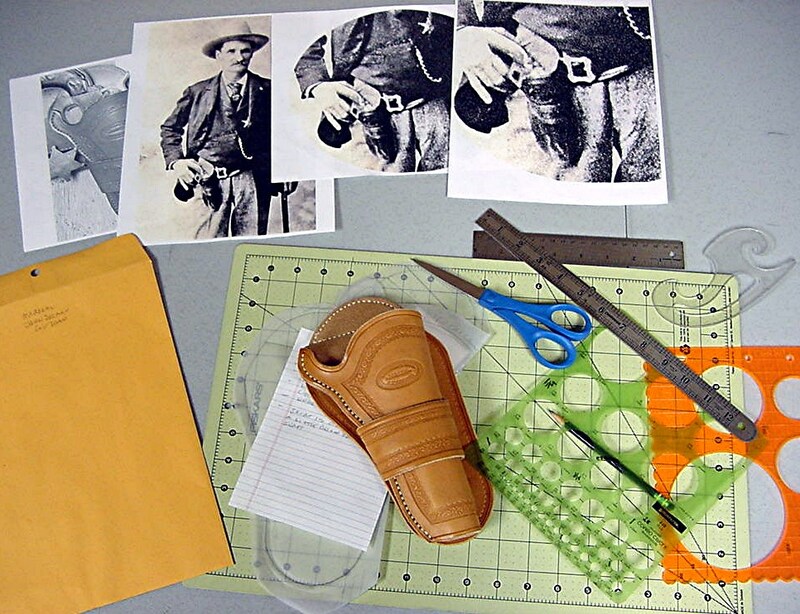 The attached photo shows our final adaptation of Marshal John Selman’s holster and gun belt. This is what a rig looks like prior to color staining and finishing. According to our color chart comparing color shades to black and white old time photos, these holsters should be a dark Walnut color. When we have completed this process and hand rubbed saddle finish inside and outside we will add to this post below with the final product photographs.